Unleash your infinite potential and heal your chronic illness. This book takes you on a journey to the very core of your being. This is done through unravelling layers and layers of density that most of us accumulate throughout our lives, and which often initiate and perpetuate chronic disease. Once you touch the light of your being, you illuminate the dark recesses of your thoughts, emotions and your physical body, thus facilitating the healing of any chronic illness. The exercises given in this book allow you to gain more clarity about your life’s mission, heal old emotional wounds, lift subconscious blocks, remove limiting beliefs, enter the natural flow of the Universe and fearlessly embrace uncertainty. Dr. Naeem is a critical care specialist, pulmonologist and palliative care specialist, whose unique insights into healing stem from caring for tens of thousands of critically and chronically ill patients for more than a decade in two countries. This experience, combined with his own search for the meaning of existence and the true nature of ultimate reality, has culminated into the incredible journey which is the subject of this book. A physician who realizes that healing comes from a deeper place than the physical, Nauman Naeem MD is a critical care, pulmonary and palliative care physician and has not only cared for tens of thousands of patients but has also delved deeply into why patients do not heal through researching hundreds of books on healing, consciousness and metaphysics. He practices in Toronto, Canada. "True healing has always begun inside of us, as was first appreciated over a half century ago with recognition of the placebo effect. 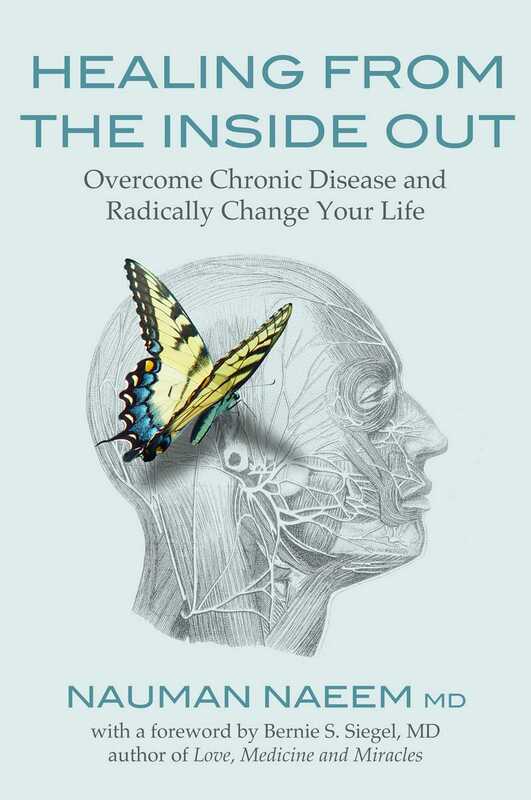 In his excellent book, critical care specialist physician Dr. Naeem has illustrated a very powerful and practical means of taking charge of our own healing, with myriad associated benefits including that of finding our purpose in life and contributing to making the world a far better place for all. His advice is not only sound, but very profound -- I surmise that reading his book and incorporating his advice into our daily lives will inevitably lead to greater richness in life, all in the process of becoming whole." – Eben Alexander MD, neurosurgeon, author of "Proof of Heaven" and "The Map of Heaven"
"With wisdom and elegance, Dr. Naeem’s Healing from the Inside Out introduces us to the fundamental truth that ultimate well-being begins within individual consciousness. This landmark book is a trustworthy, comprehensive guide to optimum health in body, mind, and spirit and the universal principles by which it is attained and sustained."